Auto beam intensity adjustment according to the Surrounding light at 8-10M ahead. 2. 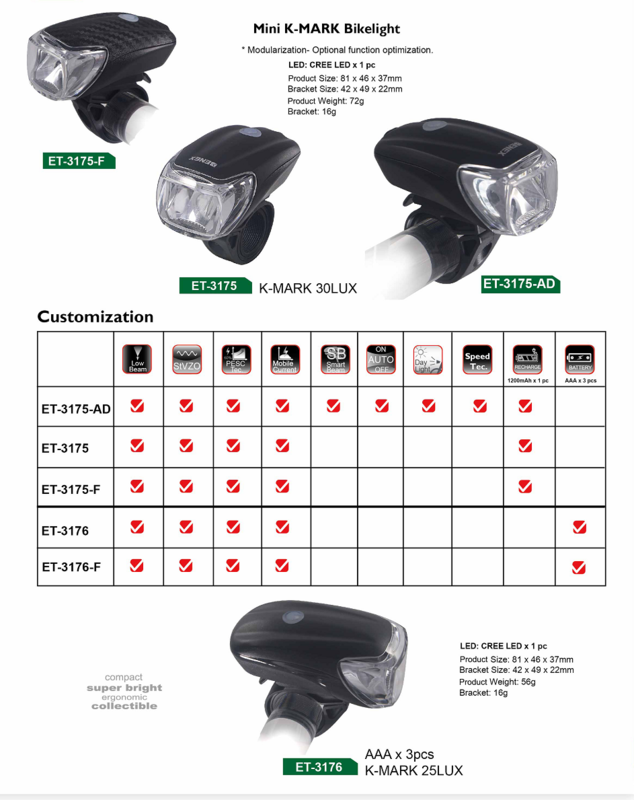 Detect the surrounding light at 6-10M ahead and adjust the beam intensity in the speed by 1 / 10000s to extend the runtime to 3-5 times longer. 4. 3-12H runtime after battery being fully charged. Perfect cut-off line, gentle to the eyes for coming vehicles. Beam distance up to 100m. 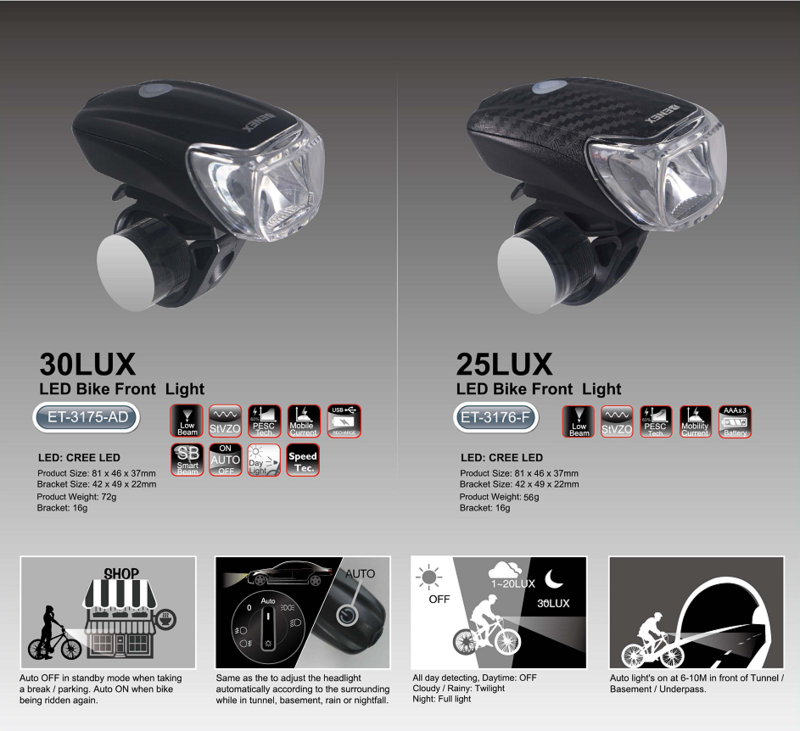 Exclusive optical design,even the rough and uneven roadside can be seen clearly, as good as car’s headlight. Certified with K- Mark -StVZO 22A, TA23.